Nadia Boulanger, the grande dame of 20th. Century musical life, characterized Dirk Joeres as “a consummate musician with charismatic presence on stage”. Born in Bonn, Joeres studied piano, conducting and composition in Berlin, Cologne, London and Paris, receiving important stimulus from Nadia Boulanger and Bruno Seidlhofer. He came into the limelight in 1972 winning first prize at the International Piano Competition in Vercelli and taking over a recital at short notice from an indisposed Claudio Arrau with sensational success. Engagements with renowned orchestras soon followed, as well as repeated appearances at festivals such as Berlin Festwochen, Klavierfestival Ruhr, Prague Spring. The music press described him as a “sensitive poet of the keyboard” and “a reflective musician” to quote Joachim Kaiser, who emphasised his “feeling for expansive phrasing, for musical insight” (Süddeutsche Zeitung, Munich). 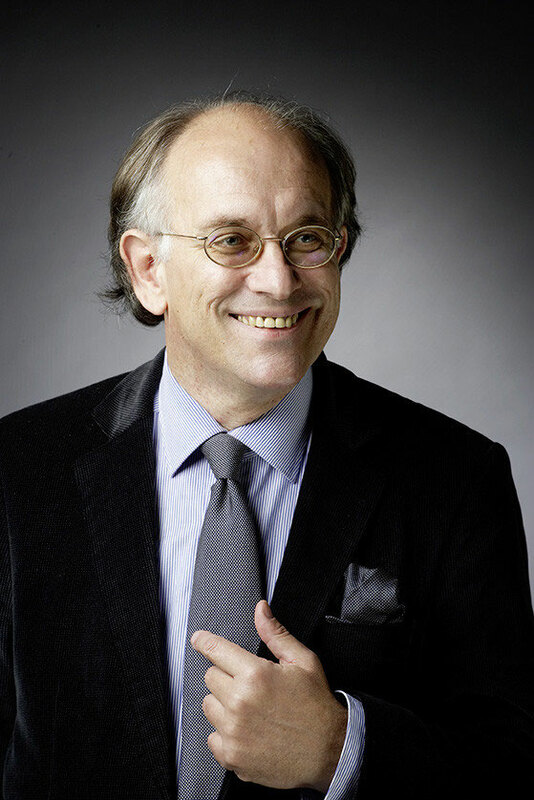 In 1983 Dirk Joeres expanded his activities into conducting and was appointed Artistic Director of the Westdeutsche Sinfonia in 1987. Joeres appears regularly as guest conductor with orchestras such as London’s Royal Philharmonic, who appointed him in 2007 as their Permanent Guest Conductor. He has taken both the Royal Philharmonic and the Sinfonia to international festivals (Beethovenfest Bonn, Budapest, Cheltenham, Brucknerfest Linz, Schleswig-Holstein) and tours with them in Europe and the USA. His wide-ranging musical interests led Dirk Joeres to explore innovative ways to present classical music in today’s world. In 2008 he devised the “KlassikSonntag!” Series which the German press acclaimed as “a fascinating concept to deepen the understanding of classical music”. This unique all-day format meanwhile enjoys cult status. In the past Dirk Joeres curated thematic music festivals such as “Music from Great Britain”, “Johannes Brahms: The Early Years” and “Music from St. Petersburg”. In 2002 he initiated the annual uiHi“Dreiklang” Festival which links a challenging combination of music, literature and philosophy. Both Dirk Joeres’ solo and orchestral recordings have received superb ratings in the international music press: Record of the Month in the USA (“Brahms and Friends”), Gramophone’s Critic’s Choice (Brahms Serenades with the Westdeutsche Sinfonia) and Pizzicato’s Supersonic Award for a Schumann CD with the Royal Philharmonic Orchestra.